EaseUS Data Recovery Wizard Free is excellent, effective, and efficient free data recovery software designed to enable users to recover lost data that may have occurred due to one technical problem or the other such as formatted storage, deleted files, corrupted hard drive, etc. When compared to other file recovery programs, this free data recovery software tends to provide users with a more efficient advantage, thanks to its excellent unique features. Interestingly, there is no limit to what can be obtained with this program whether you use a Windows or Mac operating system. It is a fully functional freeware that offers actionable recovery strategies. 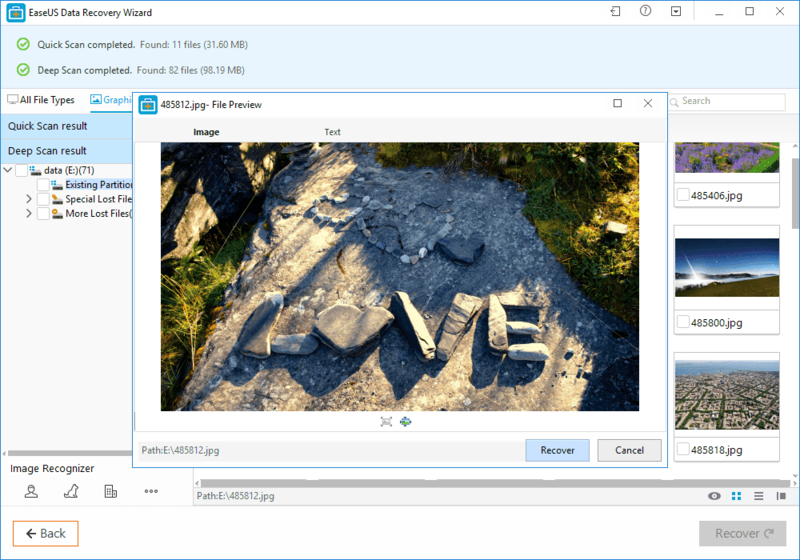 Another thing users should also note is that EaseUS Data Recovery Wizard Free Edition is compatible with all Windows/Mac file systems and dynamic disks. So, even if you’ve deleted your files directly or emptied the Recycle Bin itself, you can use this free file recovery program to get your files back. In a bid to enhance faster scanning, this software will try as much as possible to skip all bad sectors. When it comes to hard drive recovery, there are not many programs that can really provide useful recovery services. 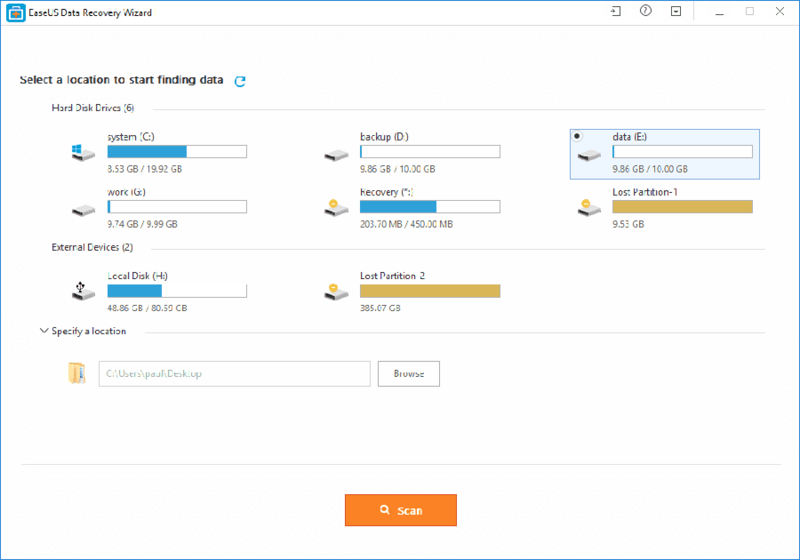 But this free helpful tool provides users with three simple but efficient recovery options including Partition Recovery, Complete Recovery, and Deleted File Recovery. With these helpful features, there is no situation of data loss that cannot be effectively resolved. Just so you know, it is very easy to see this recovery program in action, thanks to its excellent Help file. Basically, the process of hard drive recovery has never been this easy. This powerful software is not only available in English but also supports other languages such as Indonesian, Korean, Turkish, Arabic, Hungarian, Polish, Norwegian, Russian, Danish, Swedish, Chinese, Dutch, Italian, Spanish, Portuguese, French, Japanese, and German. No doubt, EaseUS offers a top-notch disaster recovery solution essential for every PC user. You can either choose to perform a quick or deep scan depending on your choice. However, it is important to know that a deep scan will cater to a more thorough search than the regular, quick scan. 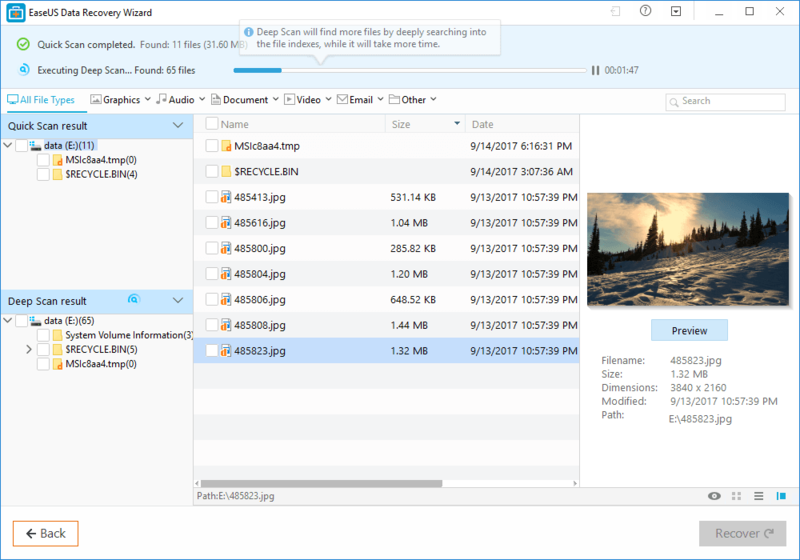 Even after scanning, users can effectively sort out deleted files found by the Wizard by their file type, date or name. What makes this recovery program unique is the ability to effectively restore multiple files at once.